Often viewed principally as a voltage-measuring device, a digital multimeter equipped with a clamp accessory can quickly measure current. Determine if the current to be measured is ac or dc. Select a clamp accessory for your multimeter that is designed to measure that specific current or one that can measure both ac and dc. Note: Look at the accessory clamp’s specifications and determine whether the clamp outputs a current level or a voltage level. Determine the circuit’s anticipated maximum current by checking the nameplate of a component or the breaker rating. Plug-in clamp accessories are available in a variety of preset ranges. 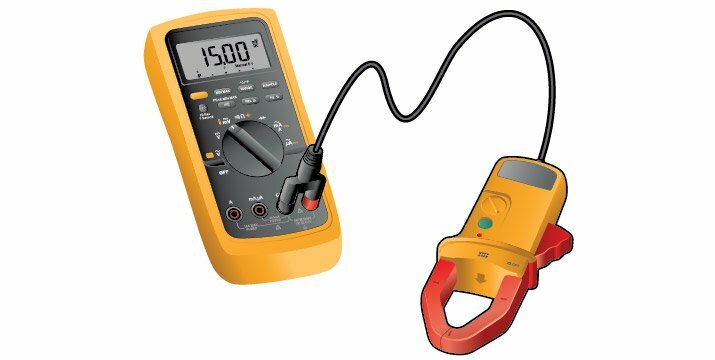 Determine if the range of your multimeter or clamp accessory is high enough to measure it. If not, select an instrument equipped for higher ranges. Note: If a meter includes fused current terminals, verify that its fuses are good. To measure ac current with a current output clamp, turn the dial to mÃ/Ã. Plug the black test lead into the COM jack. 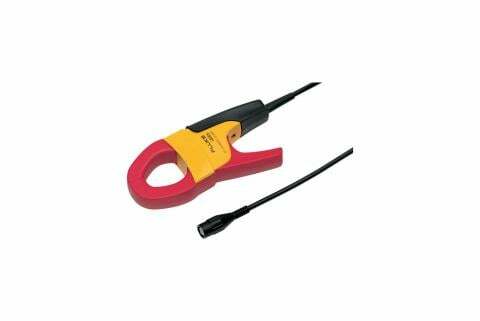 For plug-in clamp accessories that produce an ac current output, plug the red test lead into the mÃ/Ã jack. These clamps are designed to measure ac current only and, depending on the clamp’s scaling factor, deliver 1 mA to the DMM for every 1 A of measured current (1 mA/A). 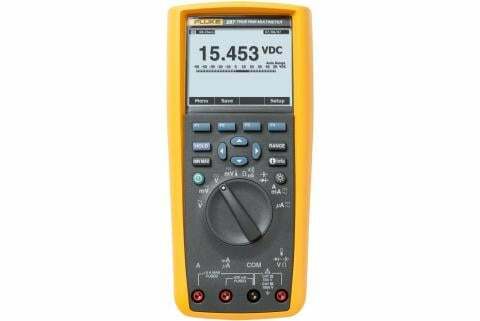 To measure ac/dc current with a voltage output clamp, turn the dial to mVac for ac current, or to mVdc for dc current. 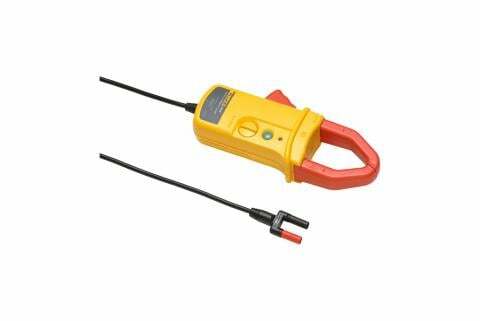 For plug-in clamp accessories that produce a voltage output, plug the red test lead into the V jack. These clamps are designed to deliver 1 mV, 10 mV or 100 mV to the DMM for every 1 A of measured current. Open the jaws by pressing the tool’s trigger. Enclose a single conductor inside the jaws. Make certain the jaws are completely closed before taking readings. View the reading in the display. Tip: Clamps measure current in a circuit by measuring the strength of the magnetic field around a single conductor. Whenever possible, separate the test conductor from surrounding conductors by a few inches. The goal: Prevent the clamp from picking up stray magnetic fields. If separation is not possible, take several readings at different locations along the same conductor. Do not measure shielded conductors, as the magnetic fields are greatly diminished or even eliminated. Knowing the current consumption in a system, component or circuit is very helpful during troubleshooting. Electrical components such as motors often carry a nameplate that displays the component’s circuit rating. A current measurement can be compared to that rating to determine the health of the component’s operating condition. Take current measurements: to determine how much a load (a component, such as a motor) is drawing from the system. You can also measure the total load on a circuit. A motor, for example, is overloaded if it draws more than the rated current, underloaded if it draws less. When troubleshooting, a technician can take a baseline measurement and be on the lookout for overload, overcurrent or a current imbalance between phases. Generally, higher-than-rated currents usually indicate a problem which can cause additional problems. Higher current produces higher temperature, and that may cause insulation breakdown and component failure. 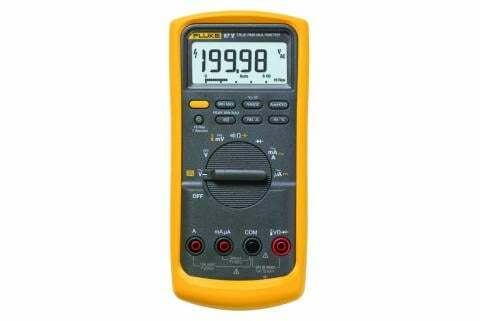 Most digital multimeters can only measure dc or ac current up to 10 A. Higher current must be scaled down with a current clamp accessory, which can measure current in a circuit from .01 A to 1000 A by measuring the strength of the electric field around a conductor. For maximum efficiency, it is recommended that a current measurement be taken when equipment is first installed and during normal operation. These measurements can be used to provide a baseline comparison when troubleshooting a future problem.